Dr. Bruce Baker was born and raised in the Detroit area. He attended the University of Michigan, earning both a Bachelor’s degree in Biology and a Master’s Degree in Human Nutrition there. He is a graduate of the University of Osteopathic Medicine and Health Sciences in Des Moines, Iowa. After graduation he completed an internship at Oakland General Hospital in Madison Heights, Michigan, followed by a Family Practice residency at St. John Hospital in Detroit. 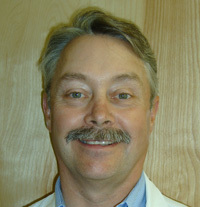 He has been certified by the American Board of Family Practice since 1989, and has been in private practice since 1989. He lives in the Grand Rapids area and enjoys golfing and horseback riding. He is also a licensed pilot.